In this Primary devotional, kids will meet sharks, bears, and puppy dogs. They'll learn each day about our wonderful, incredible world that God has made. Amazing facts are crammed in each lesson like how many mosquitoes a brown bat can catch in an hour or how horned toads protect themselves. God's Amazing Creation celebrates nature and will connect children early on to their savior. 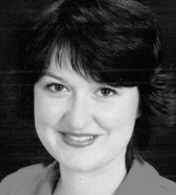 Vicki Redden is a 1996 graduate of Southern Adventist University. She and her husband, Ron, both kids at heart, have 11 nieces and nephews (at last count! ), and two dogs--Molly and Alix. She keeps an eye out for God's heroes from their home in Maryland. Joelle Reed Yamada took a year off from teaching high school religion classes to backpack around the world by herself. She and her husband, Brent, live on a dairy farm in England, where she teaches psychology and is learning all about being an English farm wife. She tries very hard to keep her dog, Nala, out of trouble. 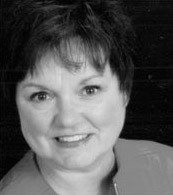 Dee Litten Reed grew up on a farm in Virginia, surrounded by the usual farm animals, as well as a few wild creatures she rescued. She loves visiting zoos and aquariums with her grandson, Tommy, and watching whales cruise off the coast of Ventura, California.